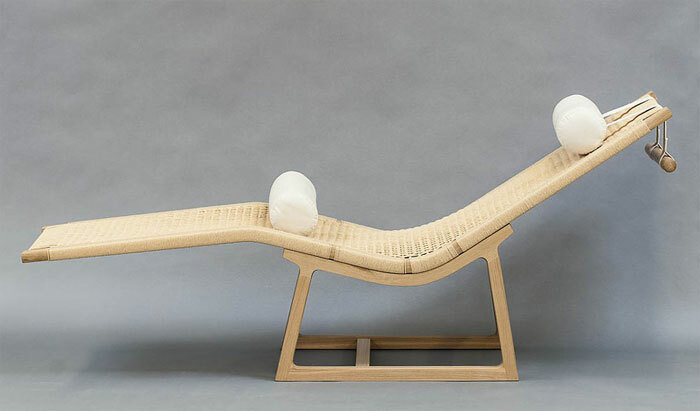 "My aim was to make a lounge chair with a clean, familiar, and welcoming presence. I arrived at the shape of the back rest through trial and error, adjusting the curvature on a mock-up version of the chair until it was comfortable. I strove to keep the other details as simple as possible." —G.L.